Alhamdulillah, we had an to opportunity to speak to Sh. Yasir Qadi, and ask him his secret to productivity. Yasir Qadhi was born in Houston, Texas and completed his primary and secondary education in Jeddah, Saudi Arabia. He graduated with a B.Sc. in Chemical Engineering from the University of Houston, after which he was accepted as a student at the Islamic University of Madinah. After completing a diploma in Arabic, he graduated with a B.A. from the College of Hadith and Islamic Sciences. Thereafter, he completed a M.A. in Islamic Theology from the College of Dawah. His published works include Riya’a: The Hidden Shirk, Du’aa: The Weapon of the Believer, and An Introduction to the Sciences of the Qur’an. 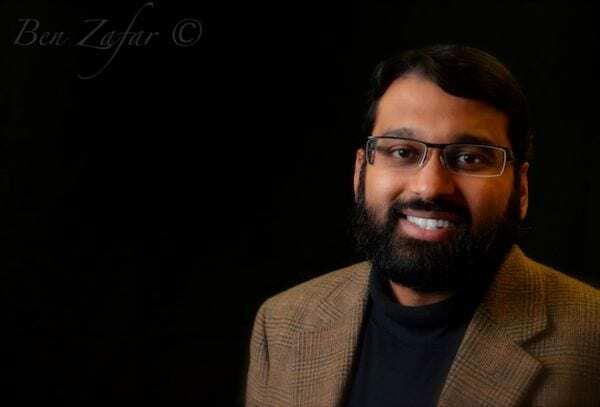 Yasir Qadhi is currently pursuing his doctorate, in Religious Studies, at Yale University in New Haven, CT. At AlMaghrib Institute he teaches the Light of Guidance and the Light Upon Light seminars, which focus on aqeedah. Without further ado, we present to you his interview. You can listen to it or read the transcript below. Abu Productive: Bismillah Walhamdulliah Wasalat wa salam ala Rasool Allah.. wa ala man walla.. Asalamu alaikum wa rahmatullahi wa barakatu and welcome to this interview with Productive Muslim around the world. Today’s Productive Muslim is Sheikh Yasir Qadhi. Sheikh Yasir was born in Houston, Texas and completed his primary and secondary education in Jeddah, Saudi Arabia. He graduated with a B.Sc. in Chemical Engineering from the University of Houston, after which he was accepted as a student at the Islamic University of Madinah. After completing a diploma in Arabic, he graduated with a B.A. from the College of Hadith and Islamic Sciences. Thereafter, he completed a M.A. in Islamic Theology from the College of Dawah. His published works include Riya’a: The Hidden Shirk, Du’aa: The Weapon of the Believer, and An Introduction to the Sciences of the Qur’an. Sheikh Yasir Qadhi is currently pursuing his doctorate in Religious Studies at Yale University in New Haven, CT. At Al Maghrib Institute, he teaches the Light of Guidance and the Light Upon Light seminars, which focus on aqeedah. Sh. Yasir: Wa’alaikum asalam wa rahmatullahi wa barakatu. Abu Productive: Jazak Allah khair for joining us for this interview. As always with our ProductiveMuslim interviewees, we want to know more about what makes them productive. What are the ingredients that makes them productive? So we would like to start off by describing a typical day of Sheikh Yasir Qadhi. Sh. Yasir: First and foremost Jazak Allah kheir for having me here. I am honored and humbled. Secondly, I disagree with the categorization as a Productive Muslim. I say this without any sense of false modesty, as I believe I have fallen short of what I should have done, and what I should be doing and what I could be doing and I always lament the fact I haven’t done enough, and that I should be doing more and more. So I actually don’t agree that I’m a productive Muslim, because that should be a role model and a lot more could be done. And I always feel guilty of not having done more. But nonetheless, if I am able to benefit the people then alhamdulillah. Thirdly, there is no standard schedule or routine, and that is because I travel so frequently and so it becomes almost impossible to have a set routine. I’m usually travelling 3 or 4 days a week. At least 15 days of the month, sometimes more, sometimes less. So unfortunately, because I’m travelling all the time it is almost impossible to have a set schedule. But when I am at home, my schedule does seem to follow some type of pattern or routine. And that is that I wake up at fajr time, and after fajr prayer, do some private ibadah or Quran. Then I begin with the project of the day. If you want to know how I prioritize my projects and get done what I can get done, it’s one of the things that may benefit people: I don’t allow myself to be overwhelmed by the sheer quantity of the projects. It’s because I have a lot of things I do simultaneously, because I have maghrib class and teaching. Or college, or my PhD. or writing my blog, or taking care of things on the side. Along with my wife and children. I don’t allow myself to be overwhelmed by the sheer quantity of stuff to do. I rather concentrate and focus on a particular issue that is the most important thing for the day. So for example today I worked more on my thesis, whereas yesterday I did my lesson plan for Rhodes College. So what I mean to do is quality work, and I don’t allow the pressure of one project to impede another project and prioritizing my projects based upon my schedule. For example I have to teach a class, or needing to prepare for the class in less than 20 hours for my seminar. and I haven’t prepared and it’s on my mind. So this would be my first project I need to turn my attention to. So I’ve already scheduled this in my head, and I know I have this to do, and I know how much time, and I work well under pressure. So alhamdullilah, I would be confident that in an hour or two I would be able to have a lesson plan for tomorrow’s class. I’m a teacher at university and in the evening I have another lecture to give and prepare. And I would have khutba to prepare for Friday so I would need to prepare for that. So basically, I try to look at my schedule and try to basically assign slots for each and every event that’s taking place. And then alhamdullilah, I would need to go over the calendar. And ask Allah to help me to take advantage of this. I would have different types of schedules on Google calendar. Different colors and post names. And every day I would look at that calendar, not just for that day but the next few days, next few weeks, and next few months even. And every day I would look at this to have an idea of what pressures is on and what projects I have to do and timeline, I would have to do these projects and alhamdullilah whatever get’s done get’s done. But like I said, I believe I could do more but alhamdullilah. Abu Productive: Alhamdullilah. I just want to point out something you said about the project of the day. I like that concept. So how do you decide on the project of the day. Is that something you decide the day before, or the week before..? And if you have more than one project coming up at you .. How do you manage those? Sh. Yasir: The project of the day is usually done in the early morning right after prostration because this is the time that the mind is the freshest. I have multiple projects of the day, but the primary one is done in the morning and that would be done 7 am till 10 o’clock in the morning. And the rest of the projects till the rest of the day. How is this decided, depends on the urgency of my schedule so like the example I gave about the talk. So the project in the morning is the one that would require my urgent attention. So there is always a long term project which is my dissertation. Any time where anything is any less urgent, this is where my projects are more urgent than the dissertation. so today I didn’t have anything that urgent so I did my dissertation a bit. Or when there is an urgent matter, like I need to give a khutba I will start working on it Friday morning because that’s an urgent topic that would only require an hour or two. And I will sit down Friday morning and prepare for kuhtba by the time it’s Jumuah time. So the project is decided on the schedule. On what is long term, what is short term, what is urgent, what can wait. And I continually look at the schedule, and by continually look at the schedule by seeing the next few weeks I can get an indication of what is urgent, what is semi urgent and what can wait. And life goes on in that matter..
Abu Productive: You were speaking about using Google calendar. Could you just speak in more detail about how you use Google calendar practically, so is it linked to your computer, your phone. What are the practical importance? Sh. Yasir: Yeah, like Google calendar is all online. So any time when I need the screen to be open I always have Google calendar. So I always have multiple screens opened up. Like right now, I am sitting and I have seven screens open simultaneously. One of them is the Google calendar. It’s always open and I always know what’s there. And in Google calendar I have 8 calendars there, simultaneously. and it’s always open it’s always there. You know, you can make different calendars. So one is for my personal life, one is for my Al Maghrib schedule, one is for my dawwa schedule, one for the kids schedule, one for my University schedule, and other stuff. So I have different schedules and I have different color coding. And simply by looking at the month tab I have a very good idea on what is for family what is for college, what is for dawwa and it’s all different colors on the screen. And today there’s disappointment as I know what I need to do and like one stuff and one color coding is 2 o’clock appointment for so and so.. So all this is on walhamdulliah. It really comes handy. It’s really good to use Google calendar. And for me it’s one of the most useful tools for me. and the good thing about it is it’s online. it can be on my iPhone or to anything any time. it’s always there with me. It’s not like the physical calendar I don’t have. If someone needs something, I can immediately log on the iPhone. You can log on and see what’s going on. and if it’s a yes or no based on that. It’s very portable, very useful in that sense. Abu Productive: When you describe these projects. It seems like you do these projects individually. But I’m wondering whether you’ve worked with people on projects, and because sometimes you can manage your own projects, and manage your own schedules. But when you work with people, how do you .. I mean do you share calendars for example. Or find ways to move projects? How do you manage to work with other people so you don’t get slowed down? Sh. Yasir: So obviously when you work in a group environment, and you have to work in a group environment in various projects. So for example in the Al Maghrib there is a number of people whom I enroll on management. Everybody has to have an assigned role and know exactly what they’re doing. and when you have that in mind you seek together. So for example. If I’m in charge of the academic of a program.. I know it would have a deadline and that’s what I need to do. I need to coordinate with the other members and make sure everybody’s finishes on time. I don’t put too much responsibility on my shoulder but I find that making a big mistake. Like the expression taking the monkey off your back. Because you have a specific role, and you shouldn’t go beyond that role. And one of the biggest mistakes I used to make in the past is to put on pressure to do more than I can. To bite off more than you can chew. So when a sheikh says, can you do this and can you that, you don’t know how to say no… Where you say inshaAllah, and you take it on. But this is very VERY detrimental. And everyone knows who have contacted me, that I can never ever, take a commitment with anything. I get at least 10-15 invitations which I say no to. 99% of them. 10-15 issues which I’m interested in. Because it’s easier to say yes to people pressuring me because It’s going to be causing them and myself agony and harm me in the long run. If you can’t take on a project, learn to say no.. N. O. One of the best ways to be productive because you can’t solve all the world’s problems, or attend lectures all over the world. You have to prioritize. You have to do this the hard way, even in people’s feelings are hurt or if you feel you’re not prioritizing them you have to prioritize other things. Abu Productive: Jazak Allah khair. So what are the challenges you faced to be productive? What are the things you’ve felt: this is tough. Or you feel you need to be always on the move. Need to be productive. What challenges do you face? Sh. Yasir: The feeling that so much needs to be done. Like I feel like I need to take on a lot of projects and so I need to prioritize with even the projects I love to do. I have to prioritize and for me this is the biggest frustration that there is so much to be done in such limited time for the sake of religion for the sake of Allah . We have one life to live and we do what we can. and we do what we can and hope for the best from Allah[ swt] The biggest sources of frustration is not having more time that we can manage and not have more working capability to give.. and not be limited by that. so alhamdullilah… We are thankful to Allah for whatever He has given us from blessings.. and asks that He accepts our eager efforts and shortcomings. Abu Productive: I sense a sense of urgency in your voice in terms of there is not enough time, need to do more.. How do you develop that urgency..? Because that’s the key to being productive. Sh. Yasir: How do you develop that urgency.. (sigh).. SubhanaAllah.. I’ve never thought about that question. It’s always getting at me do you not want to benefit the Ummah, do you not want to gain the reward and be a content Muslim when you die .. You will be asked what have you done? You will be asked the 5 questions. And what have you done with the life I have given you? I mean isn’t it everybody’s goal to answer those questions and to answer as positively as possible. That sense of urgency is obvious. You look at the situation of the Ummah.. and you look at the potential.. you look at how much you can do. To realize that every little you do.. So every day you wake up say I have to do this and that.. and it’s there.. it’s definitely not beyond your control.. but a blessing from Allah and a part of it is your control. And from my standpoint.. it’s being aware of the Ummah.. and always makes me feel like I’m not doing enough, I must be doing more. And that’s definitely a motivational factor in my case. Abu Productive: So what advice would you give to young Muslims who sit around on you know, TV, or Facebook and just waste time. And they don’t have a sense of urgency.. they feel that life is still good.. and life is going fine.. and they’re happy.. and you know, this urge, to get up and do something, to be productive isn’t there. So what’s your advice to them? Sh. Yasir: Honestly.. If ever I waste time, if watching a movie or anything.. I feel such a sense of loss.. such a sense of remorse, of how useless I have been in that time.. And I wonder about people, I hear about these people, and I know they exist who spend their days doing absolutely nothing.. and I honestly wonder, how could they go to sleep at night and feel content.. and how could they live a life of peace. It honestly boggles my mind. When I do it for just an hour or half an hour.. I feel why did I do that.. and you know, if you find them spending the whole day, or the whole week .. And this is one of the reasons why and this might be controversial.. but I can’t stand watching sports.. Watching other people kick a ball around for two hours… and you know, what have I accomplished in that time. How have I benefited.. If you play sport, I understand.. But if you’re just sitting there and yelling and screaming at a television screen where people kick a ball back and forth for me this honestly boggles my mind. I’m so frustrated.. and I’m in that situation, I just walk away.. Like I said, I don’t know how some people do it.. and they’ve not spent their time productively.. I wouldn’t be able to do that. No matter how much pressure I’m under.. I actually feel healthy in that pressure.. and even if I feel like I’m not accomplishing as much as I could do.. I feel that I’m living my life and doing at least something.. at least something. and that doing and that effort is what makes me strive.. and that drive is what gives me my spiritual life and gives me a sense of peace and contentment. Ironically, the pressure in my life still gives me a sense of peace. And I feel my life has a purpose to it. I cannot imagine those who haven’t got a higher purpose.. how would they be able to live their life.. I cannot fathom that. I’m sorry. I know ‘m not really answered your question. but I really don’t know. Abu Productive: No mashaAllah… You’ve completely answered the question. You’ve hit the nail, completely hit the nail just right there. So I want to ask.. What about the other side.. The people who are workaholic and those who are doing beneficial work.. Some people just work for the sake of work. Sh. Yasir: In my opinion, the one criteria what separates a workaholic and a Productive person.. is family. If family is content and happy and able to adjust to the person’s lifestyle. He is productive. But if he is suffering, his whole life is suffering, and health is suffering then he has gone to one extreme. Because no matter what I’m doing for the Ummah nobody has more a priority than my wife and children. You know, that’s my immediate responsibility. And it wouldn’t be fair to neglect them in the expense of others.. and I know deep down my kids wish they could spend more time with me.. and I too wish that.. But I don’t think I’m depriving them from a father. I don’t think so. Are they suffering? I don’t think.. Sure they don’t have me as much as they want.. but yes.. But alhamdullilah.. I believe personally I’m doing a reasonably good job. Maybe like I said I could do a better job but nonetheless, alhamdullilah, I make sure I spend time with my kids, I know what they’re doing and that they have a good, healthy relationship. There are people I know who hardly know their kids because they’re too busy with the dunya.. or the deen.. And that is another mental extreme and it’s not Islamic. Abu Productive: SubahanAllah.. Who is your role model in terms of productivity, whether from Islamic history or recent, modern history..? Sh. Yasir: Akhi, for everything I do, after the Prophet , there is nobody of course who is the ultimate role modal. But after the Prophet .. It sure is the person I admire is from my history and from my era.. after 3 generations.. Sheikh Ibn Taymiya.. Nothing more personal. I look at what he’s done and I’m totally and honestly ashamed of myself. And I don’t say that with any sense of false modesty. I mean he wrote more in one day than many of us write in months or years. He did more reading and ibadah in a week than we would do in a whole year. And it’s really shameful when I look at what he’s done. And how much he did at whatever age he was at.. At 17 he was giving fatawah.. and at 20 he’s already written 15-20 books. And here I am I’ve hardly written 7, 8 books and I’m already in my 30’s… You know it’s pathetic. People like Ibn Taymiyah put me in complete and utter shame, and so people like that are several role models for me. Abu Productive: SubhanAllah.. What about in recent history..? You know in living example? Someone you look up to in terms of the way they manage their time, the way they’re productive and balance everything. Sh. Yasir: Allah blessed me to work with Sheikh Abu Huthaimiya rahumahuAllah for a short while the summer before he passed away. And I was very touched and amazed by him as a scholar who has had the most profound influence on me psychologically. It was one semester. I cannot claim to have memorized all his texts and read all his writings, but in terms of the spiritual and psychological impact, I was amazed at what I saw. You know, there’s hardly a moment of his life where it’s ibadah, reading, or even walking from his house to the masjid and he’s surrounded by his students and they’re reading to him and every single moment I saw, something productive is being done, and it again put me to shame, because someone like him is still living and we see him, a 70-75 year old man and classes on Monday and Thursday and he’d come back maghrib that day..
Abu Productive: MashaAllah, mashaAllah.. What about in terms of resources, tools, books that you would recommend that would get people geared for being productive? She. Yasir: Maybe I’m being simplistic, but I don’t see books teach you productivity. Nobody taught me what I’m doing. It’s something I learned on my own. It’s something I had to juggle by myself. But people are different, maybe some people may read on how to be productive. I personally have never read a book on productivity. I’ve never read a book on time management. And I don’t see the need to. I really don’t to see the need to, personally. Maybe I’m missing out in a big field or that there may be something out there that will revolutionize how I think. Personally, I’ve never received.. Sometimes I fall short on my own standards. So I’m sorry, but I don’t think I can recommend you any books or anything like that. Abu Productive: But, like you say, learning from experience, do you review daily where you say ok, I should have done this, should’ve done that.. and how you build your productivity. Sh. Yasir: Usually if I waste time doing something I shouldn’t have done, I have this whole guilt trip and so the next day there’s more determination to have to make it up. So there’s this review of how I accomplish my goals. So today.. I’m alhamdullilah on with the schedule I have set. I still have two or three projects before I go back home after this call in 27 minutes, so another way to be productive is to monitor your goals and agendas. So I know what I’m doing from 2-3 and from 3-4:30. So basically on entirety, everything is happening on schedule. If let’s say I wasted an hour, reading too many emails or spent time reading a blog I didn’t have time to read then that is at the expense of the project that I should have done. Like I said in the evening when that happens there’s the whole sense of I did that, need to make up for that. But another problem is basically wasting too much time on the internet or for some people a television. I don’t have a television. But for those who have a television, this is from the biggest time killers. And we need to set a limit on how much we intend to waste our time.. reading the news, reading the blog, you only need to know so much. It’s only an overload with information and the overload is detrimental and we need to balance on how much we need to know and how much is useless to know. Abu Productive: InshaAllah Jazak Allah kheir.. On our final questions. We’ve asked all our interviewees, and then move to the next question. So first question: is what is your definition of a productive Muslim? Sh. Yasir: Again, I don’t see it as one definition, as all people are different. And people’s productivity, people’s potential, is different so the average Muslim not a scholar, his productivity is a full time Doctor, full time Engineer, Full time Lawyer, Full time .. His productivity will not be the same of that of a scholar. And so for him, if he earns his income, prays 5 times a day, read some Quran, has a healthy family lifestyle.. Attends a few Halaqaat (study circles), wallahi he is being very productive for who he is, and for his contribution for the Ummah. And for someone like myself for example It’s a different standard and level. So I don’t think there’s a specific definition of productive Muslim. But it is for someone to have something to respond to Allah when he is asked what he has been doing in his life, and answer in a positive manner. Abu Productive: MashaAllah.. And finally, some advice for our ProductiveMuslim fans who are between 18-24 from the UK, US, and Canada. So any advice for them in terms of being productive? Sh. Yasir: It’s reach their level or goal. This is one of the problems of the Ummah.. of 18-24, of reading so much Quran in a week or becoming the Sheikh of tomorrow. It’s unrealistic goals. Because setting these goals, and not meeting them is quite demoralizing and depressing. If you have realistic goals and you meet them, then alhamdullilah, you feel so empowered and you move on. So it’s a fine line of being over realistic, over optimistic, over pessimistic. So for setting really low goals, you’re also not being productive. So if your goal is to read one juzzu’ in one month, wallahi, it’s a real shame.. wallahi. But to memorize one Juzzu a month is very positive thing.. But could be too much for some people.. To memorize 5 pages in a month it would be very high goals, and for other people it would be very low goals. So point is, you need to look at your situation and be very reasonable and ask yourself what can I really hope to accomplish in one month, one year and set these goals in your academic, in your spirituality, your worldly life, and then inshallah.. it’s trying to meet them. If you set realistic goals and you meet them, you feel empowered to set more goals. If you set too high or too low, this will deter your productivity. Final piece of advice, is always remember that all productivity and kheir is in the hands of Allah and therefore ask Allah to give you barakah in your time. This is a very crucial duaa to give barakah in time, in your money, your effort. Oh Allah bariklee fee kulimaa razaktanii.. Oh Allah give me barakah in all that you’ve given me. Productivity literally means productivity, it’s a boost. So you ask Allah for Barakah.. That’s why in the Quran it says: Allahuma ij3alnee mubarakan aynama kunt.. and He made me mubarakan.. He made me beneficial, productive for wherever you are.. and it is for Yayha and Eesa.. Wa ijalni mubarakan ayna ma kunt.. So we should make this dua a lot.. Allahuma ijalnee mubarakan aynama kunt.. and this is from the duaa I make too. So for wherever you go it is beneficial and productive and you do what is best to be done. And if you have this attitude and relationship with Allah inshallah, it will be a first step to lead a productive life. Abu Productive: Sheikh Yassir Qadhi, Jazak Allah khair for the wonderful advise and wonderful interview, may Allah reward you and keep you productive for the Ummah.. and to help you to balance everyday of your life and to balance this life and to give you success in the hereafter inshallah. Jazak Allah kheir and asalamu alaikum wa rahmatalllah wa barakatu.. SubhanAllah we bihamdih. Sh. Yasir: Jazak Allah kheiran wasalamu Alaikum wa rahmatullah wa barakatu.